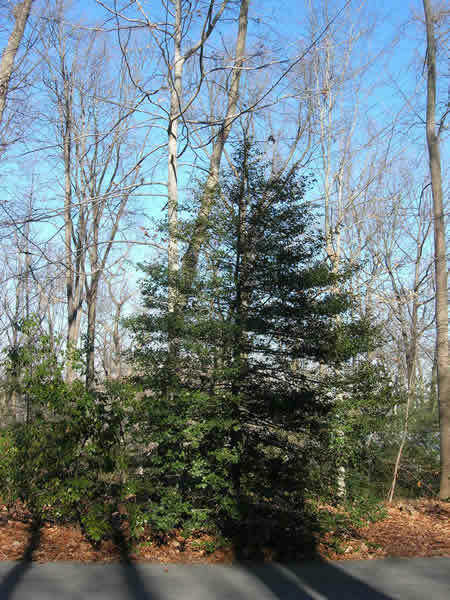 The American Holly is a native evergreen tree that can grow to 60 feet. It has plenty to offer throughout the year, but is most spectacular in winter when its dark green leaves and red, berry-like fruits provide wonderful color and contrast to an otherwise leafless landscape. 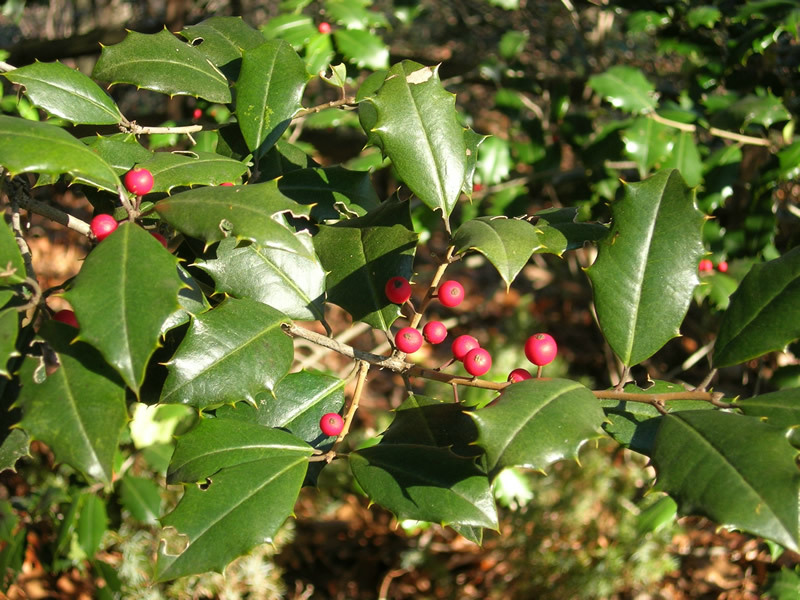 These traits also make the American holly a popular choice for use in holiday decorations. They are dioecious (having separate male and female plants) and only females can produce berries, thus requiring a male plant for pollination. Though toxic to humans, the berries are an important food source for many native wildlife including squirrels, chipmunks, foxes, raccoons, box turtles and several species of songbirds. An understory tree, the American Holly grows well in shade, but planting it in more sunny locations will allow for denser foliage. These trees can tolerate extreme pruning and can be cut back to suit anyone’s vision.